A Jamie Vardy penalty cancelled out Laurent Depoitre's first Premier League goal to hand Leicester City a hard-earned 1-1 draw against Huddersfield at the John Smith's Stadium. Depoitre, who was deputising for the injured Steve Mounie up front, put Huddersfield in front straight after half-time but Vardy levelled a few minutes later from the spot. Just past the hour mark, the hosts saw an Elias Kachunga goal controversially ruled out for offside before Vardy missed an open goal from Riyad Mahrez's inviting cross across the box. The result means Huddersfield continue to defy the odds in the upper echelons of the table while Leicester have shot into 14th place, having previously hovered just above the relegation zone. Following an uneventful first half the game burst into life immediately after the interval as Depoitre opened the scoring on 46 minutes as he raced onto Abdelhamid Sabiri's pass, outmuscled Harry Maguire and fired past Kasper Schmeichel in goal. However, their lead was shortlived as just four minutes later Leicester equalised through Vardy who sent Jonas Lossl the wrong way from the penalty spot after Chris Lowe had upended Andy King just inside the box. Huddersfield thought they had regained the lead after 62 minutes when Kachunga nodded in a Mathias 'Zanka' Jorgensen shot from close range but the goal was disallowed as the winger was incorrectly deemed to be offside. Replays showed that King had in fact played him on. Not long after Leicester should have gone in front after Mahrez bamboozled Lowe before firing a low cross-shot to the far post but Vardy inexplicably failed to get a touch on it with the goal gaping. The England international kicked the bottom of the post in frustration after failing to add to his four Premier League goals this season. David Wagner was without the services of top-scorer Steve Mounie through injury so Laurent Depoitre made his first league start after signing from Porto. Abdelhamid Sabiri also made his full debut in midfield. Craig Shakespeare handed a full Premier League debut to Kelechi Iheanacho who partnered Jamie Vardy up front. Ben Chilwell came into the side in place of the injured Christian Fuchs, while Vicente Iborra was on the bench. The home side had another great chance late on when Aaron Mooy, who dictated the tempo of the game throughout, carved out an opening for Collin Quaner with just six minutes remaining but the powerful target man flicked the ball wide of the far post after beating Ben Chilwell to the ball. And in the final minute Leicester thought they had won another penalty when substitute Demarai Gray hit the ground under pressure from Zanka but Jon Moss waved away the winger's appeals. Leicester have registered just one clean sheet in their last eight PL games, shipping 18 goals in that period. Jamie Vardy has had a hand in 15 goals (12 goals, three assists) in 18 Premier League appearances under Craig Shakespeare. Since their return to the top-flight in 2014/15, the Foxes have won 25 penalties, scoring 19 of them, only Manchester City (26 taken, 20 scored) can better them on both counts. David Wagner: "We got the response I wanted from the West Ham game in terms of the performance; the team showed a great attitude. From the replays I have seen, Elias Kachunga was clearly onside when he headed the ball in but we have to accept the point." Craig Shakespeare: "We have to see that as a good point, I certainly would've taken a point at half time. We created chances in the second half and dug in despite being a bit off the pace. We've played better this season and got nothing but that happens." Paul Merson: "Vardy's miss was one of the biggest sitters I've ever seen! Huddersfield were outstanding in the opening 25 minutes without really creating anything, but Leicester improved in the second half." 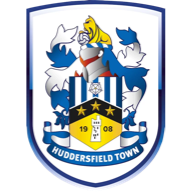 As is so often the case when Huddersfield Town are in action, Aaron Mooy was the standout player as he dictated the tempo of the game from midfield. The Australian playmaker completed the highest number of passes on the pitch (84) and created the most chances with three. He was always a threat with his pinpoint deliveries into the box from wide areas. Both sides switch to their attentions to the Carabao Cup on Tuesday as Huddersfield travel to Selhurst Park to face Crystal Palace while Leicester host Liverpool live on Sky Sports Football. 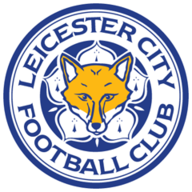 In the Premier League, meanwhile, Leicester again take on Liverpool at the King Power on Saturday with Huddersfield heading to Turf Moor to face Burnley on the same day.